The characteristics of a 'mini' make it an ideal first yacht, but it will put a smile on the face of more experienced hands too. 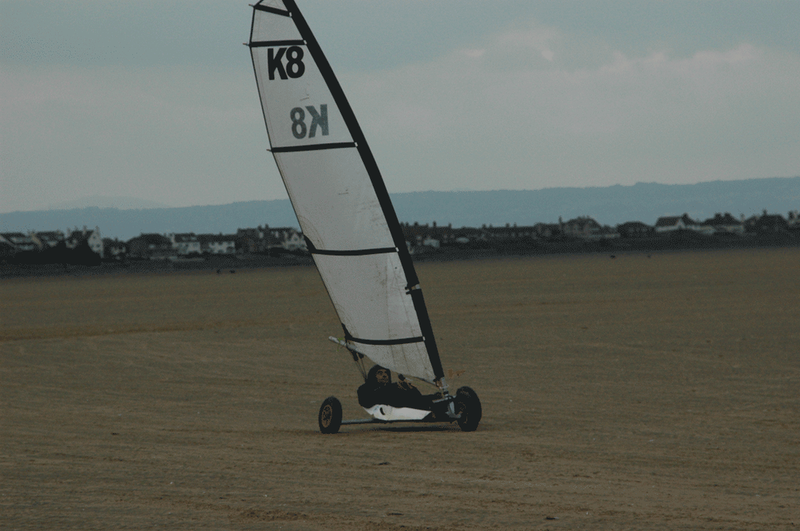 Just about anybody can learn to sail it and it is perfect for outdoor family-sport. The mini is simply constructed. A frame supports three wheels, a seat and a mast. The sail is fixed to a sectional mast (for easy packing), the boom controlled by a simple rope and pulley system. Steering is performed with the feet. With a minimum of parts and simple construction, the craft is designed to provide a lifetime of land sailing pleasure with quick and easy maintenance.